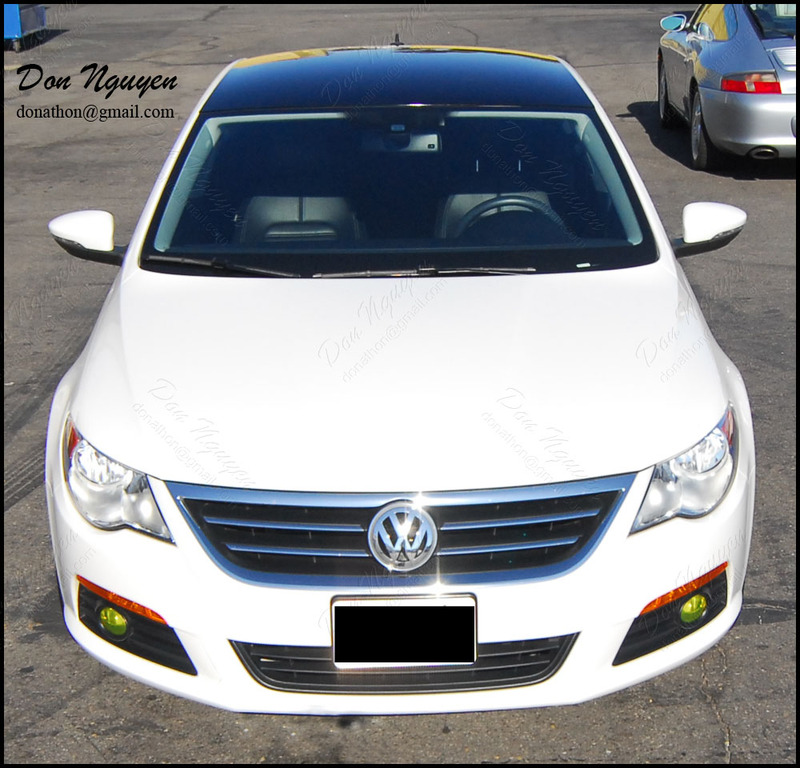 The owner of this white VW CC sedan had me vinyl wrap the roof of his car with my gloss black vinyl material. The car was brand new, and the owner wanted to give it that panoramic and two tone look. The car did not have a sunroof, so the black roof was seamless up top, which gave it a very nice large mirror effect and smooth look. I took some up close pictures of the edges to show you how I am able to cut the edges/lines straight even on cars that do not have roof rails (IE BMWs, Mercedes, etc).